With more than 25 years of experience in construction, we are able to offer our clients a range of perspectives. We specialize in Single and multi-family homes as well as condos and co-ops, both new and old and will provide you with the information that you’ll need to purchase your property with a clear understanding of its physical condition. We are licensed with the state of New York, fully insured and are certified by, and members in good standing with, the International Association of Certified Home Inspectors, (InterNachi) abiding by their strict code of ethics and a commitment to yearly continuing education courses. We understand the importance of time when in a contractual contingency period and make every effort to accommodate your time frame and will deliver your report in both hard copy and disk form within 48 hours of the inspection. Termite inspections as well as Radon, Lead and Asbestos testing are available upon request and will be scheduled together with your home inspection. We are sure that you will find our services to be professional and worthwhile. Our company always puts the best interest of our customers first. Our inspections meet and go beyond industry standards and our customer satisfaction has consistently been 100%. At MHIS, integrity is a key part of all we do. We promise to act in your best interest always. Our clients can count on us to remain honest, professional, unbiased, credible and ethical. 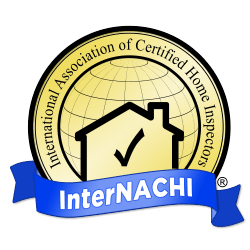 Not every home inspector is a member of InterNACHI, because it means stricter requirements and more training. But those are some of the reasons I joined! I want to continue to better the home inspection service that I provide to all of you. Hiring the right home inspector is important. If you choose me to perform your home inspection, I will give you my very best every time. With years of experience and a strong work ethic, we are the right choice for your home inspection needs!